There seems to be a new superfood every week, from berries to greens and more. But one of the most overlooked areas is tea. 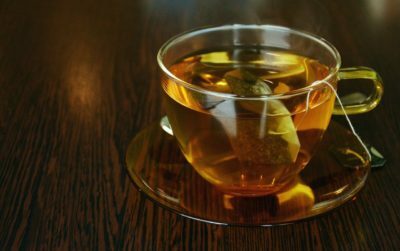 There are a huge number of healthy teas out there an as well as being loaded with nutrients they have also been shown to provide some cancer killing and life extending benefits. A diet that includes several cups of these everyday could be all you need to live a long and happy life. This is a tea that has been criminally overlooked in the United States, despite the fact that it has been shown to be effective in preventing Alzheimer’s, cancer and all kind of inflammation. It also tastes great and is consumed for its apparent ability to cure cold and flu in Greece and the Balkans. There are a few brands here that sell it, but they grind it to dust, store it for large periods, and don’t use enough of it. We import ours from a supplier in the UK, who gets the very best varieties of Greek mountain tea from the mountains of Greece and ships them fresh. It’s loose leaf, it’s fresh, and it’s loaded with all those healthy properties. Rather than opting of the teabag dust, import some direct. The extra cost is worth it. This root is the superfood of the moment and is being added to everything. But as with Greek mountain tea, it tends to be weak and ineffective by the time it makes it to the end user. The best way to consume turmeric is to buy the roots fresh. Buy them in bulk if you want to avoid constant trips to your local health shop and simply freeze the ones you’re not using right now. All you need to do then is grate the root, add it to boiling water, let it simmer, and then drink. It is currently being studied for its cancer killing properties and also provides the user with a host of other benefits. Not too long ago there was a story being spread that said Dandelion root could instantly kill cancer cells. This wasn’t true, and was just another fake story of the many that exist on the internet, but it did come from a place of honesty. Research has found that dandelion root is effective at treating specific cancers under specific conditions. What’s more, it is a potent diuretic, contains a host of healthy nutrients, and also offers a wealth of other benefits. The jury is still out on the cancer front, especially when you consider that there are many different types of this disease and that there can be no single treatment. But even if you discount that, this is still a very healthy and very beneficial tea. Okay, so it’s not a tea, but we feel that we need to finish with this because it’s a great way to add some extra health benefits to your cup of herbal tea. Lets be honest, most herbal teas don’t taste great without a little sugar, but sugar isn’t at all good for you. Honey, however, is very good for you and is therefore the perfect replacement. We all seem to know that, but there are many misunderstandings where honey is concerned and we’re missing out as a result. Firstly, while Manuka is one of the best honeys out there, it shouldn’t be “Manuka or nothing”. There are many more varieties of honey that can be just as beneficial, if not more so (at last in certain areas). Take Greek thyme honey as an example. It provides all of the benefits of wild thyme and honey, which means it is loaded with essential minerals and antioxidants and also contains potential cancer-fighting compounds. Look for a dark, flavorful honey, preferably one that is organic. Rather than spending $100 on a jar of Manuka, spend the same amount on a dozen jars of pine, thyme, rosemary, and other strong, healthy honeys. It can also be used on grazes, guts and other wounds. Of course, this is only recommended for very minor wounds. If you’re in a car crash you need a hospital (and a car accident lawyer) not a jar of honey. But it has its uses in this area.